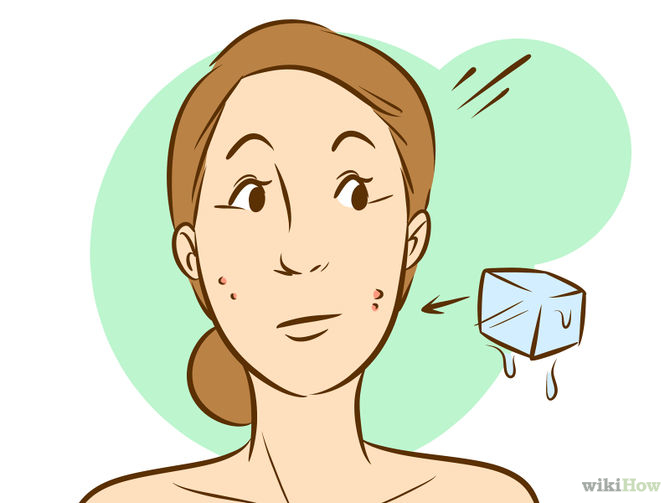 # 1.Ice the pimple to relieve some of the inflammation. Wrap a few ice cubes in a thin, clean cloth and apply directly to acne, making sure not to put too much pressure on your skin. 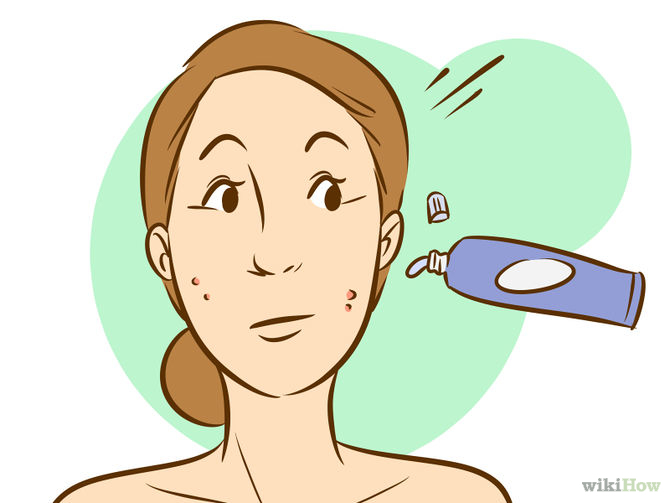 Too much pressure can cause the pimple to break, causing even more redness and spreading bacteria. ☛Cool temperatures slow local blood circulation, reducing swelling and redness in the injured tissue. Many athletes use cold treatments (ice baths, localized ice, etc.) in order to treat inflammation caused by injury. Eye drops are made to remove redness. They contain tetrahydrozoline hydrochloride, which helps get rid of redness (usually in the eyes). 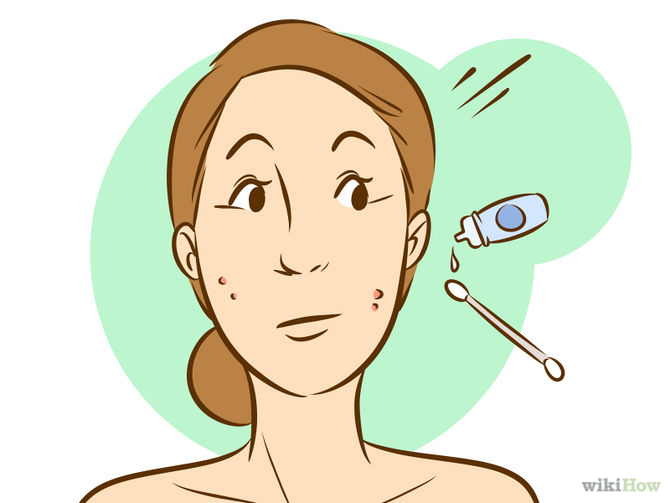 ☛Put a small amount of the eye drop solution on a Q-Tip and apply it gently to the pimple. ☛Alternately, freeze a Q-Tip that's been soaked in eye drop solution overnight. Apply it gently to the pimple. The cold will suppress the inflammation, and the tetrahydrozoline hydrochloride in the eye drops should help relieve redness. ☛Rubbing it on your entire face can cause more irritation. Only rub on affected areas. Don't use this technique too often or it could have an adverse effect. # 3.Use an aspirin mask. Aspirin contains salicylic acid, which is one of the main ingredients in many scrubs and topical ointments used to treat acne. Salicylic acid produces its anti-inflammatory effects by suppressing an enzyme responsible for inflammation. 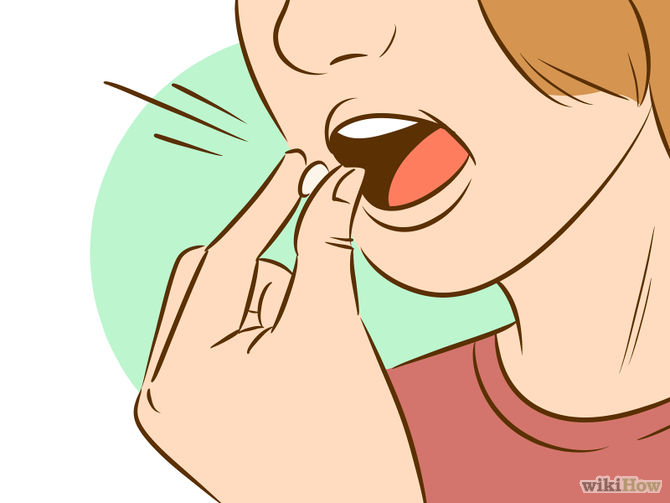 ☛Mix together crushed aspirin with a little water to form a paste. Apply to the inflamed area gently with a Q-Tip and rinse off once dry. While not an immediate fix, this will help with redness. # 4.Dab a little bit of toothpaste on the pimple. Most toothpaste contains silica, which helps to dry out pimples. Silica is the same thing that is found in tiny white packets because it keeps dry food snacks, such as jerky, thereby slowing spoilage. ☛Cover the pimple completely with a thin film of toothpaste right before bed, let dry, and leave on overnight. Wash off in the morning. ☛Don't use toothpaste that has menthol or fluoride. These ingredients may worsen redness and cause more pimples to appear. # 5.Use a little bit of lemon juice. Lemon juice contains citric acid, which could help fight acne bacteria, and studies suggest that citric acid has natural skin-lightening components, which could help with redness. Wring out a little bit of lemon juice from a lemon, soak it in a cotton ball, and apply to pimples at night. ☛Lemon juice will lighten your skin. It will take a long time and repeated uses for it to show, but it will lighten the pigments in your skin. If you only use lemon juice sparingly, however, and evenly over your face, it shouldn't be noticeable. ☛Avoid prolonged exposure to sunlight after applying lemon juice. Because lemon juice tends to dry out skin, it's especially susceptible to sun damage. Apply lemon juice only at night, wash your face in the morning, and always wear noncomedogenic sunscreen. ☛Lemon juice may interfere with other acne medications. Like all home remedies, its effectiveness is not necessarily scientifically proven, and care should be taken using it. Talk with your doctor or dermatologist about combining lemon juice with other topical products. 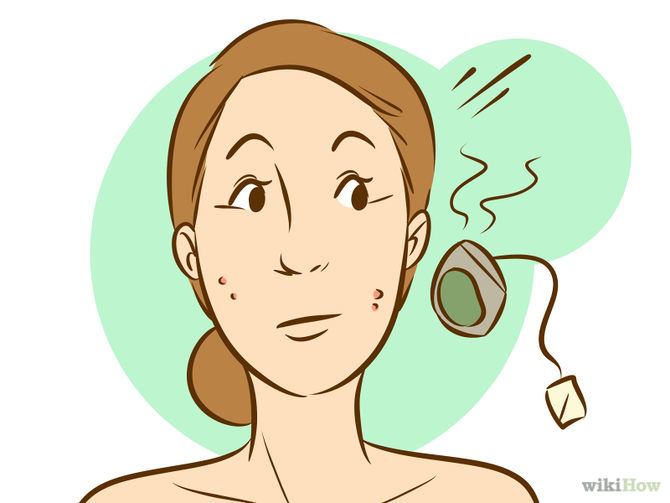 # 6.Apply a hot washcloth or warm tea bag to the pimple. Basically, compress applied to the acne will open up the pores, potentially drawing bacteria or pus to the surface, and allow for the cleansing of oils, dirt, and dead skin. ☛Get water that is almost too hot to touch. On your face, it should feel a little uncomfortable at first, but pleasant after a while. Soak your washcloth in the hot water, or take your hot teabag, and hold gently over your acne for 30-60 seconds. ☛Follow your warm compress with a good old-fashioned face wash. Facial scrub or wash will help remove some of the oil and bacteria that was drawn out by the warm compress. 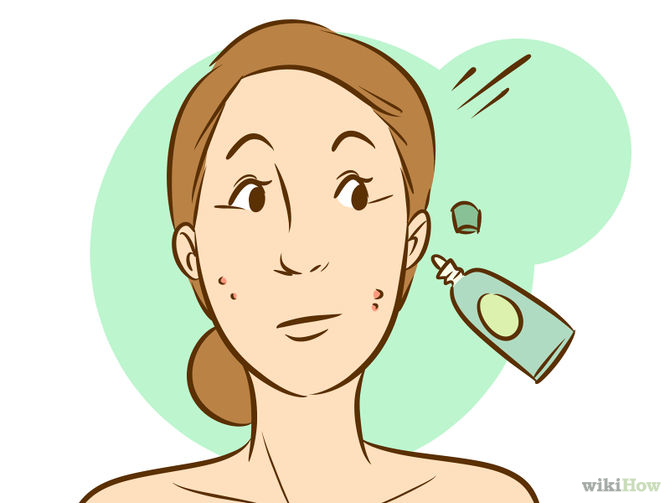 # 7.Go to a grocery store pharmacy for a redness-reducing product to put on your pimple. Find an 'Immediate Response' product; a pharmacist may be able to help you. # 8.Use concealer to hide the redness immediately. 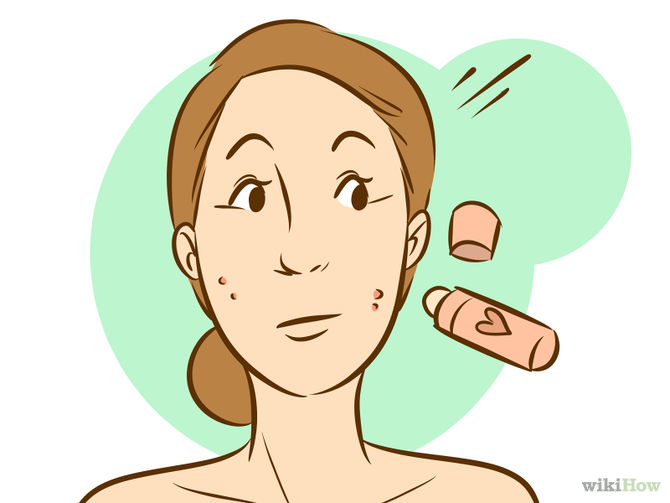 There are concealers that contain salicylic acid to help dry the zit out while covering it. ☛Green colored concealers will take the redness out of your skin, a skin tone liquid make-up or powder then needs to be applied on top of it. # 1.Wash your face daily with a quality face wash.
Wash once in the morning and once at night. Always moisturize your face after washing, and apply topical creams afterward. ☛Don't scrub too hard or use a rough-surfaced implement like a loofah or washcloth to wash your face. Your hands will work just fine. When drying your face, gently pat dry with a towel (or air-dry). Don't wipe your face too vigorously with a towel. ☛If you've been using over-the-counter treatments and home remedies for two months and see no real improvement in your acne, go visit a dermatologist, or skin doctor. 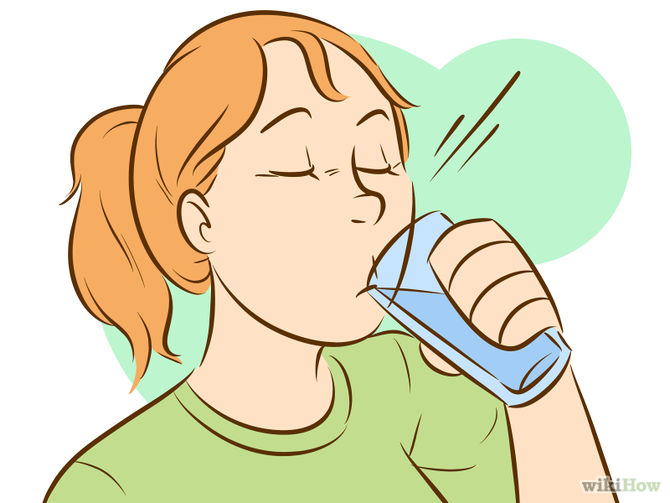 # 2.Drink lots of water. Many doctors recommend drinking at least 3 liters (13 cups) of water per day for men, and 2.2 liters (9 cups) of water per day for women. Because it's easy to remember, the "8 by 8" rule is another recommendation: Drink 8 glasses of 8 oz. water per day. ☛When dehydrated, we lose moisture in our skin. This means that there is less circulation to the skin area to provide essential nutrients. When your body is not properly hydrated, your skin is the first places on your body to feel the deficit. ☛Drinking more water will help your kidneys and liver detoxify more efficiently and more effectively. Drinking water will also make sure your colon is working as best it can. # 3.Make sure your body is getting its proper vitamins. ☛Vitamin A. A lack of vitamin A in the body has been linked to inflammation in the intestines, lungs, and skin. Vitamin A is an antioxidant, meaning it helps limit damaging cells called free radicals that harm skin cells and hasten signs of aging. Foods that are rich in vitamin A: Liver (pâté), carrots, sweet potatoes, spinach, squash, apricots, and cantaloupe. ☛Vitamin B6. Vitamin B6 is water soluble, meaning you lose it as water in your body evaporates or is used. This means you should be restocking your body daily, preferably with foods rich in vitamin B6 instead of supplements. Foods that are rich in vitamin B6: Beef, turkey, nuts, seeds, legumes, and fish. ☛Vitamin C. Vitamin C is instrumental in producing collagen, the basic building block of skin, among other things. Vitamin C also protects against harmful substances that contribute to disease and is another antioxidant. Studies suggest that it has some anti-inflammatory benefits. Foods that are rich in vitamin C: Hot chili peppers, guava, members of the citrus family (lemons, oranges, grapefruit), kale, broccoli, kiwi, and strawberries. Exfoliating means using a scrub or a mask to wipe away the layers of dead skin that accumulate over the course of the day or several days. Exfoliate once a week for skin that is brighter, healthier, and cleaner. ☛You can easily buy exfoliants at your local drugstore, or you can make simple ones at home. # 5.Find healthy outlets for your stress. Scientists don't know exactly how stress causes acne, but they do know that there's a link: Cells that produce sebum have receptors for stress hormones, meaning that when you're stressed those sebum cells become unregulated. Sebum is the oily substance that clogs pores and leads to pimples. ☛Exercise. Even walking 20 minutes per day is a healthy way to exercise. Take the stairs instead of the elevator. Volunteer to walk the dog. Exercise will decrease your stress levels, giving you a better chance at better skin. ☛Get involved in sports. Sports aren't just for jocks; there's virtually a sport out there for every kind of person. 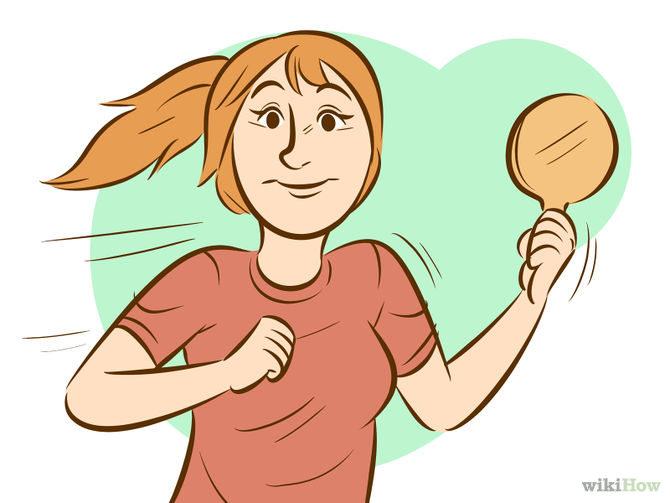 The most important thing is that you have fun, burn some energy, and give yourself a nice outlet for your stress. ☛Rinse your face with hot water to open your pores. Then wash your soap off with cold water to close the pores. ☛Avoid popping pimples if possible. ☛Normal soap is fine, but try a specialized face wash if you have it. ☛Use an oil-free sunblock of SPF 15 or more everyday. Some redness can be caused by overly dry skin. ☛Change your soap every few months because skin can get used to the soap. ☛Visit a dermatologist who can prescribe a medication if this is a persistent problem. ☛"Dove" soap really helps to ease the redness of a pimple but any soap will do. You have to wash your face daily not just when you have a pimple. ☛Try really hard not to pop your pimples because it makes them turn bright red and may leave an acne scar on your face. ☛If you really need to pop a pimple, wash your hands well. Then use a tissue to pop the pimple. Afterwards, put a dab of antiseptic cream on the spot to remove bacteria. ☛If you have popped the pimple. Don't touch it! Apply a face cloth that's been in hot water for a couple minutes like said in the tutorial above. ☛Before using the steam method, make sure there is absolutely no dirt, dead skin, etc. on your face. And debris present could clog your pores and cause more pimples. ☛Use hot water with salt or use honey. ☛Hydrocolloid bandages can empty out popped pimples. They are miracle fixes almost. ☛Avoid touching your face throughout the day. Touching your face will spread bacteria throughout your face. ☛Dab you're face dry instead of rubbing it, it will help your face an not irritate it. ☛Do not wash your face too often or you will remove your natural oils. ☛Always moisturise your face after washing it with facewash or soap, face washes and soaps clean you face, taking out the bad oiliness but sometimes they takeaway the moisture as well and leaves you with dry skin, making you face oily again anyway. ☛Use Sudo Cream , it's an antiseptic cream, apply to the pimple and it will decrease the redness and dry up within a night. The cream is white and very noticeable so if you're indoors you can apply it during the day. Sudocrem is a versatile cream , multipurpose use great for acne prone skin. ☛Just because your skin is oily doesn't mean you don't need to moisturize it! Use a oil free moisturizer. ☛Wash your face at night with a facial cleanser and rinse with warm water in the mornings. ☛Don't use any kind of toothpaste. It dries out the skin which makes it peel. ☛Find a the skin routine that works for you and use it religiously. Slacking off on your routine can cause breakouts. ☛Dab sea salt and water on the pimple in order to dry it out. Don't try touching your face at all, specially when your hands are dirty. ☛Soaps made of sandalwood help. 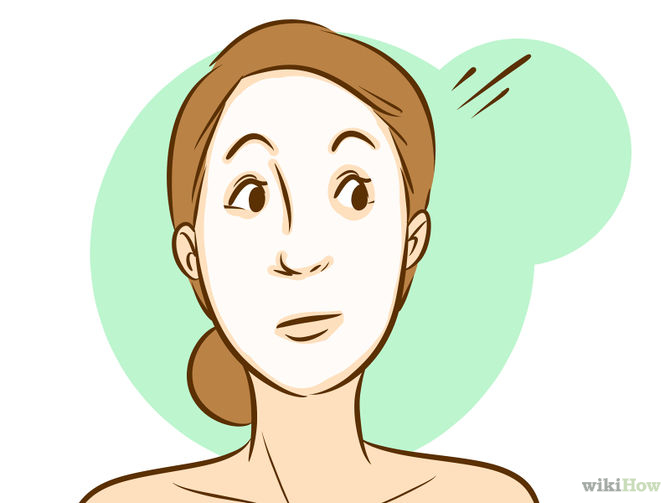 ☛Don't scratch out the pimple, as it will leave a scar. 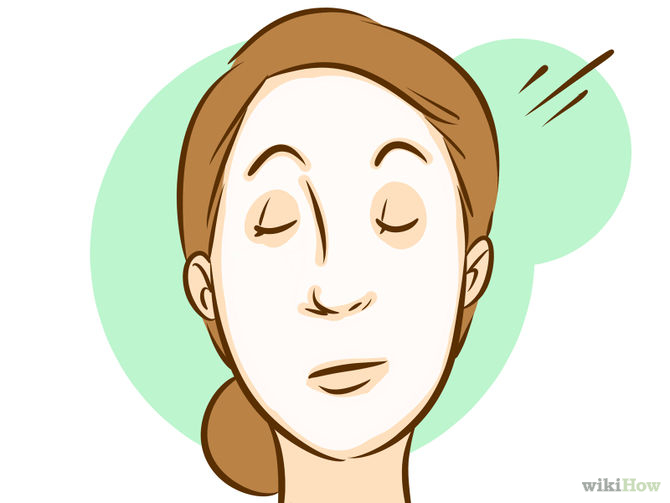 ☛Avoid touching your face without washing your hands beforehand. ☛If you have sensitive skin, try using exfoliating creams that are for sensitive skin only, and never use them more then once a week. You can also try a homemade mask with milk and honey. Adding cherries tightens your skin up too. ☛A great moisturizer is aloe vera. You can find it in almost any drugstore and it comes in several different lotions. ☛Wash your face twice a day. ☛Also avoid touching you face too often without a hanky.